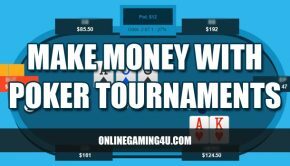 Poker’s popularity has risen spectacularly in the last five years or so, thanks in no small part to the advent of online casinos and global TV coverage of professional poker tournaments. 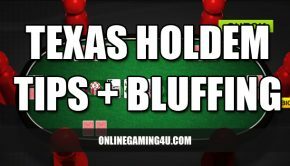 From casino tables to kitchen tables across Europe, poker has transcended all other card games to attract a new wave of young, energetic player, and the market for competitive poker both online and off has never been better. The trouble is, with so many new and eager players flooding in, one could be forgiven for thinking the depth and subtlety of the game has taken a back seat. Poker is a game of skill. It requires far more that simply knowing the ranking of hands, and it takes time to master the softer skills that play into the game. Poker enthusiasts spend years gemming up on how to read opponents, odds, when to play, when to fold – and that’s before they’ve played a single competitive hand. Like any other skill based game (and indeed many competitive sports), playing poker requires mental agility, composure and a cool, intelligent head amongst the fast-paced, often-hectic world of poker match play. Granted, learning the mechanics of the game is a largely straightforward process. Within a few trial hands, it becomes apparent to the lay onlooker the way the cards are dealt, the way betting works and the way a hand moves from the initial deal to the outcome. 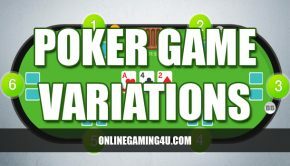 The rankings of hands, while perhaps requiring a little longer to bed-in, is also comparatively straightforward, and even the newest of newbies should be able to pick it up within just a few hours. But the real depth in poker lies not in the physical cards that are played, but how they are played, and how the psychology of betting against others interacts with you and your opponents. It’s this area of poker that books are dedicated towards, and literally hundreds, if not thousands of volumes have published around the world with differing theories, strategies and plays. Even the pros don’t know it all, and indeed most professional poker players would admit to still honing and refining their attitudes to the game with every match they play, and every book they read. Poker is a marathon, not a sprint. As a newcomer, you’ve got a lot of learning to do to keep up with more experienced players, and it’s not all to do with which hand wins. For those looking to really hit the top in poker, it’s a long sloping learning curve that could take years to master. From the technical side through to the intricacies of human behaviour and psychology, poker isn’t a game you can be good at unless you have extensive experience of live game play, and no doubt a few hefty losses under your belt to show you where you’re going wrong. But the enjoyment of playing poker well, (not to mention the winnings!) makes it a worthwhile pursuit for online gaming fans everywhere.